Patrimoni Gastronòmic in Ibiza Town and Gastrojueves in the island’s north east bring you great food for less in top Ibizan restaurants. Warming up winter from now till the end of March are these two great events, featuring food from around the world: Patrimoni Gastronòmic in Ibiza Town and Gastrojueves in the island's north east. For tourists travelling to Ibiza and island residents, this is your chance to eat some excellent cuisine for less in some of Ibiza's top restaurants. Nine restaurants are taking part in Patrimoni Gastronòmic, which celebrates world food with great value three-course menus priced at just €20. With this foodie fair running until 31 March 2019, there's every excuse to go. This year's event brings you the food of the island plus from countries like Argentina, Morocco and also Italy, represented by two regions, Florence and Piedmont - all guaranteeing a delight for gourmets. Also on offer are modern takes on Ibizan classics as well as a selection of specially created dishes that employ much-used local ingredients like almonds and olive oil. Half price meal deals are what you get with Gastrojueves, with 15 restaurants taking part offering 50% off their menus on Thursday nights. All the action starts this Thursday 24 January with the event running all the way to 14 March, excluding Valentine's Day on 14 February. This year, the event introduces Cala Llonga for the first time adding to restaurants in Santa Eulalia and San Carlos. As usual, expect traditional Ibizan fayre with French, Italian, Dutch and Thai food as well as grilled or smoked meat dishes - it's a great way to try out what many consider to be the island's gastro heartlands. 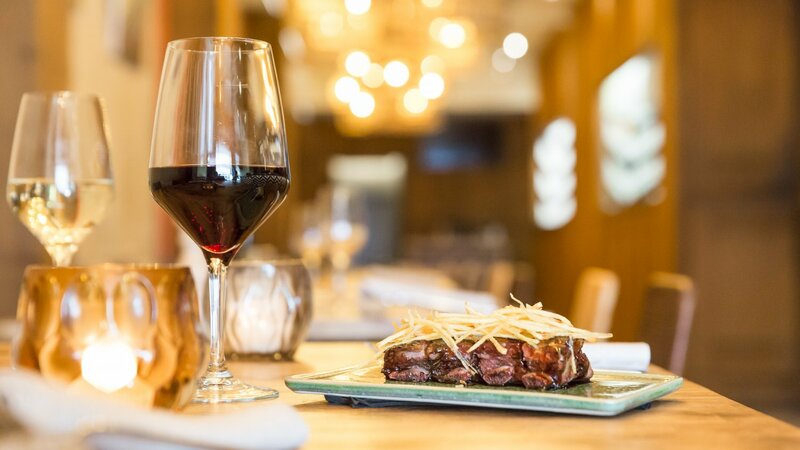 Restaurants taking part in Patrimoni Gastronòmic include La Cava, El Hotel de Pacha and Mikasa Ibiza Boutique Hotel whilst Gastrojueves has El Naranjo, Royalty, and Smokers Delight in its selection. A series of cooking workshops is new this year for Patrimoni Gastronòmic and is being run by Marga Orgell of the S'Ametller Cookery School and presented in Spanish. The workshops are a great introduction to making tasty home cooking with Turkish, Mallorcan, Indian, Mexican or Italian classes as well as healthy and vegetarian ones. With such a choice of great places to eat without breaking the bank, your only decision is which restaurant to go to first. Bon profit!